Rachel Carson Biography | Cool Kid Facts . Rachel Louise Carson was born in May of 1907 in Springdale, Pennsylvania, United States. She spent her childhood growing up on a farm, where she loved studying wildlife and nature. In 1929, she completed her bachelor’s degree at the Pennsylvania College for Women, which is now known as Chatham College. There, she worked in the Woods Hole Marine Biological Laboratory. After that, she enrolled in graduate school at Johns Hopkins University. There, she earned her master’s degree in zoology. After her graduate work in environmental studies, Carson became a professor at the University of Maryland, where she taught for 5 years. 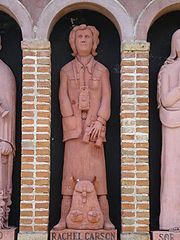 In 1936, she moved on to join the United States Fish and Wildlife Service. For the Federal Fish and Wildlife Service, she wrote scripts for radio on marine biology and zoology. During this time she also wrote and published natural history articles, which were published in the Baltimore Sun. Her work was appreciated at the Federal Fish and Wildlife Service, and she eventually became the editor-in-chief of all of the literature published from that department from 1936 to 1952. Many of these publications included pamphlets on environmental conservation. 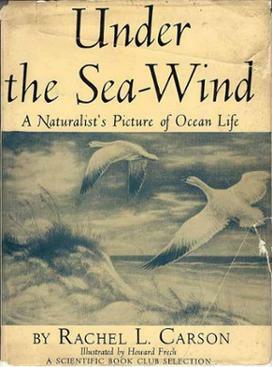 In 1941, she published a book entitled Under the Sea-Wind, which explained nuances of marine plant and animal life. Ten years later she published another book entitled The Sea Around Us. This second book became an instant best seller. Her third book, The Edge of the Sea, was also very popular and very information regarding marine life and conservation. In 1952, her books had become so popular that she became financially stable enough to resign from the Federal Fish and Wildlife Service and pursue her writing and research full time. Throughout the 1950s, Carson worked on research into pesticides and the food supply. This led to her most famous book, Silent Spring, which was published in 1962. This book explained why she didn’t believe that pesticides should be so freely used on crops that go into the food supply. Especially harmful, as stated in her book, was DDT. This pesticide was later banned from food sources, due to the influence of her work. Some people who worked in the government and in the chemical companies that produced pesticides criticized her work, and tried to argue that she was just stirring up trouble. However, she kept trying to warn others. Eventually, in 1963, she testified about pesticides to Congress, where she asked the government to pass laws to protect the food supply from dangerous pesticides like DDT, and to only rely on pesticides that are safe on crops. This testimony was successful and legislation was passed that banned DDT, based on her testimony in Congress and on her articles and books she had written containing research on the topic. 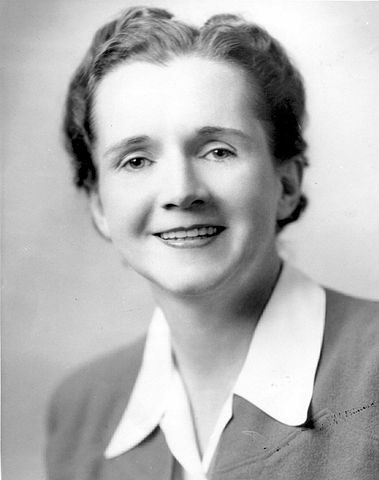 Rachel Carson passed away in 1964, due to cancer at the age of 57. She is known for being one of the first environmental activists, and her insights made a large impact on improving environmentalism and agriculture.